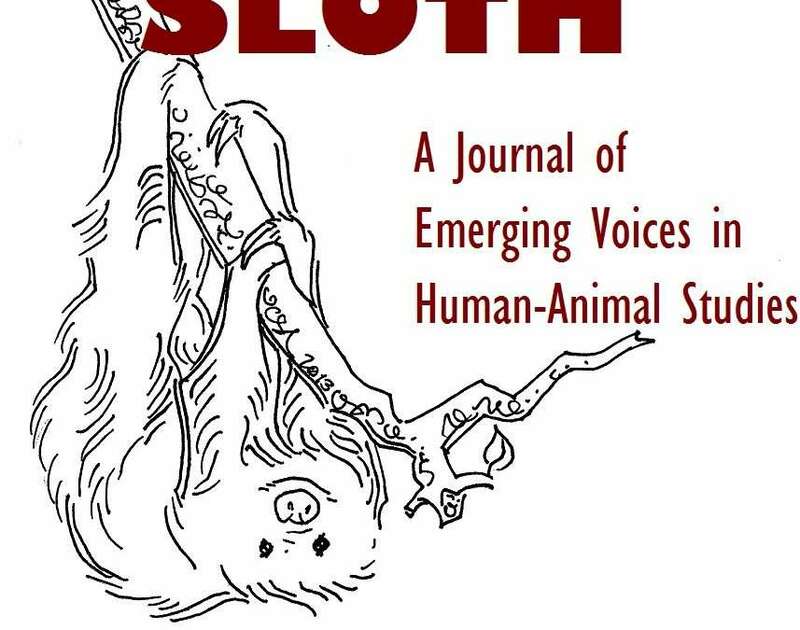 As part of our efforts to reach out to students with an interest in human-animal studies, in 2015, ASI created Sloth, a journal for undergraduate students to publish their papers, book and film reviews, and other work. Sloth takes its name from arboreal animals native to Central and South America known for their relatively slow, careful movements. Because of their unhurried nature, sloths are often stereotyped as dull-witted, sluggish, and lazy; the animal was named, in fact, after one of the seven deadly sins. Yet the deliberate movements of sloths are a beneficial adaptation, making them very successful animals in the rainforest environment. By conserving energy, sloths have survived while other animals have gone extinct. A salute to these and other misunderstood creatures, Sloth encourages our contributors to think and write purposefully about the animals-individuals and species-with whom we share this planet and to engage critically and creatively with more-than-human ways of being in the world. Undergraduate students, or those who recently graduated, are encouraged to submit research papers, film and book reviews, creative writing, and art. Submission and formatting instructions can be found here. Next issue’s submissions due October 15, 2018!